Here we are at the half-way point on the series about the Ten Commandments. We are fast approaching the special appointed time (Mo’ed) that marks when they were handed to Moses at Mt. Sinai! SHAVUOT! 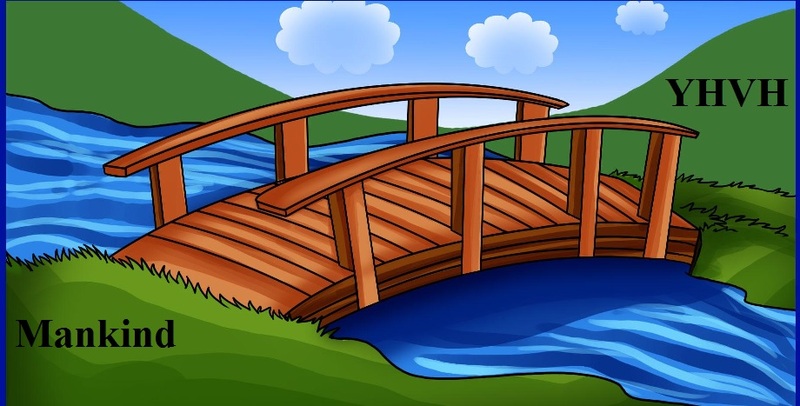 Did you know that the Fifth Commandment is a bridge? Read on! The Fifth is the only Commandment given with a promise attached. It is the transition between the first 4 commandments that instruct us on how to relate to YHVH, and the last 6 which concern how we relate to each other. This commandment has elements of both. This truly is a bridge between YHVH and Mankind. HEY means Revelation! Behold!! 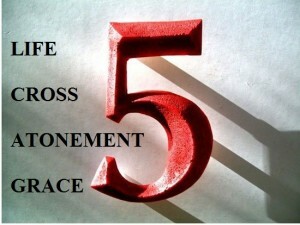 The number 5 symbolizes grace, cross, atonement, life. This commandment is an If/Then statement. He is instructing us on the ideal parent/child relationship. One that reflects his relationship with us! Good parents teach their children how to be safe in a dangerous world. Likewise the Father! He wants us to be a people who perpetuate His Way. We receive and transfer life lessons from our parents and in turn pass them on to our children. Deuteronomy 6:4 goes hand-in-hand with the 5th Commandment! It is familiar! It is the Shema (which is a Hebrew concept that means: Hear-and-Obey). Deu 6:4 “Hear, O Israel: YHVH our Elohim, YHVH is one! 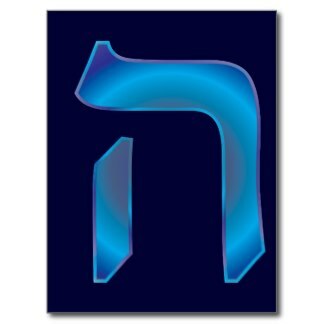 5 “And you shall love YHVH your Elohim with all your heart, and with all your being, and with all your might. 6 “And these Words which I am commanding you today shall be in your heart, 7 and you shall impress them upon your children, and shall speak of them when you sit in your house, and when you walk by the way, and when you lie down, and when you rise up, 8 and shall bind them as a SIGN ON YOUR HAND, and they shall be as frontlets BETWEEN YOUR EYES. 9 “And you shall write them on the DOORPOSTS OF YOUR HOUSE AND ON YOUR GATES. WHAT’S WITH THE CAPITAL LETTERS? Write them on your doorposts and gates = Guard what you allow inside! These are all parental responsibilities that we recognize. Right? WHAT GIVES ACCESS TO YOUR SANCTUARY? If we are living tabernacles, it makes sense that we should guard that holy place! What do you allow inside? I am reminded of an incident when the movie the Exorcist came out. I read the book, but I had no interest in seeing those images outside of my imagination. However, one of the girls that worked across the hall from me came in the day after watching the premiere of this film. Without going into too much detail, suffice to say watching the movie had a profound effect. She had been crying uncontrollably and unable to sleep after the film. We have a responsibility to guard our own gates, and that of our children. This extends beyond horror movies! Anything that might contaminate our bodies or minds should be guarded against! As parents, we need to take on this responsibility! And, when in doubt, our Father has the last word for us. He’s watching! Anyone else remember this phrase? “Don’t do or say something you would not do or say in front of your Mother or Father!” Where did that come from? Our society used to teach children to be respectful to adults and especially their parents. A consequence of lax standards has resulted in a boom for the pharmaceutical industry. We have a generation of medicated ‘ADHD’ and ‘hyper-active’ kids that are only under control when they are under medication. What is up with that? I suspect there are many factors over and above a lack of discipline in families that has caused this epidemic of out-of-control young people. But, He didn’t give us instructions on video games or phone texts. He didn’t tell us how to handle fast food or a 24/7 news cycle. What he did give us was the Torah that we were to hand down to our children. Is it still relevant? The Fifth commandment seems to imply that we should have the tools to cope, even in today’s society! Can we find, within the Torah, the answers? It instructs us in His way. He tells us what a good parent will teach their children. That’s what He did when he gave us his Torah, and that is the commission we are given in the fifth commandment. Do we honor Him when we do not perpetuate His instructions? Pro 25:2 It is the glory (H3519) of God to conceal a thing: but the honor (H3519) of kings is to search out a matter. Honor, then, would appear to be something not to take ‘lightly.’ It is both glory and honor to take His fifth commandment seriously. Just as most of us can relate to a parent that ‘lays down the law,’ we can relate to the sense of regret and guilt we feel when we disregard or transgress our parent’s wishes. Is our Father any different? When we are told to Honor our Father and Mother it is to admonish us and remind us of this great commission. We are to Teach His Commandments to our children by Word and Deed; to hand them down to each generation that follows! 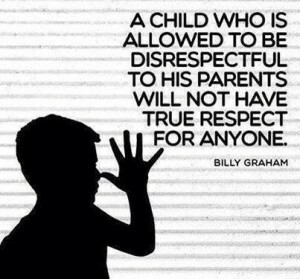 It seems that this commandment is more than just showing your parents respect. It is being a model of His Way so that when we walk, we demonstrate His Way. Yeshua said he was the Way, Truth and Life. We are to walk even as he walked. In so doing, we honor our Heavenly Father, and when our children honor us, they accept, believe and walk as we walk. Think about it: if every set of parents since Mt. Sinai had done this, and all of their children had done likewise by honoring (i.e. emulating and obeying) their parents, would we be confused about how we should follow the commandments today? WHAT ABOUT THE NUMBER FIVE? Remember the line from Short Circuit when the robot says, “Number Five is alive!” I love it when foolish things give us a way to remember eternal principles! That is exactly what the fifth commandment provides for us! If we will honor our father and mother it will give us long life! How do the symbols for five figure into this commandment? The picture illustrates the concepts associated with the number five. Do you see a connection between the commandment and Yeshua? Yeshua is connected to all of the meanings for five listed in the illustration. 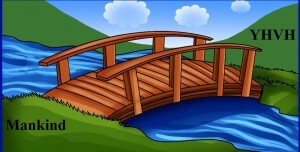 And isn’t he our ‘bridge?’ Isn’t He the Way? No one comes to the Father except through Him? He told us to pick up our cross and follow Him. And, if we pick up our cross (die to self) to follow in His instructions, He promises His grace and makes atonement for us! Isn’t the goal to be ever with the Father? Eternal life? IF we all had followed him and taught our children to follow us (respect father/mother) as He commanded, we would now be operating by His grace in atonement (at-one-ment). Like minds, like actions. At one (in unity) with God and with man, and He promises this leads to life. I am sure that when we finally have the restoration of all things, this will still be the standard we should follow! Honor Father and Mother! In Ephesians chapter 2, Paul speaks about the grace given to him so that he could reveal the mystery that had never before been preached. Paul is saying that this mystery was revealed to him by grace. Before Paul’s encounter with Yeshua on the road to Damascus he was a persecutor of the Messianic Hebrews! He was an enemy of Yeshua’s kingdom! But, the grace he was given was in spite of his behavior. It really had nothing at all to do with Paul! It had everything to do with teaching the truth to the Lost Sheep! Eph 3:1 For this reason I, Paul, a prisoner for Christ Jesus on behalf of you Gentiles– 2 assuming that you have heard of the stewardship of God’s grace that was given to me for you, 3 how the mystery was made known to me by revelation, as I have written briefly. Paul is saying that he was put in charge of preaching ‘God’s grace’ to the Gentiles! That revelation of information (the mystery) was given to him as a commission. He was to be a steward of ‘God’s grace’ toward the Gentiles. Eph 3:4 By reading this, you will be able to grasp my understanding of the secret about the Messiah, 5 which in previous generations was not made known to human beings as it has now been revealed by the Spirit to God’s holy apostles and prophets. THIS IS THAT SECRET: 6 THE GENTILES ARE HEIRS-IN-COMMON, MEMBERS-IN-COMMON OF THE BODY, AND COMMON PARTICIPANTS IN WHAT WAS PROMISED by the Messiah Jesus through the gospel. Isa 14:1 However, the LORD will have compassion on Jacob and will once again choose Israel. He will settle them in their own land, and foreigners will join them, affiliating themselves with the house of Jacob. I used to think that the ‘gospel’ was that Yeshua had died for my sins…and that is kind of correct, but not really complete. The real ‘gospel’ is that Yeshua came to reconcile the ‘divorced’ northern tribes of Israel back into the fold of his nation of kings and priests! Rom 11:29 For God’s gifts and calling never change. 30 For just as you disobeyed God in the past but now have received his mercy because of their disobedience, 31 so they, too, have now disobeyed. As a result, they may receive mercy because of the mercy shown to you. 32 For God has locked all people in the prison of their own disobedience so that he may have mercy on them all. The Good News of the Gospel is that He will Restore His People into One House under Yeshua! Until we understand the division of the Twelve Tribes, we cannot understand what the true Gospel (The Gospel of the Kingdom) is all about! But how does this relate to grace? We see that grace is the gift of YHVH to us. In that sense it is ‘un-merited’ because he offers His grace because he is a promise-keeper. But there is more to it than that! What is the gift of the Ruach? Isn’t it the ‘helper’ that enables us to walk in His Way? 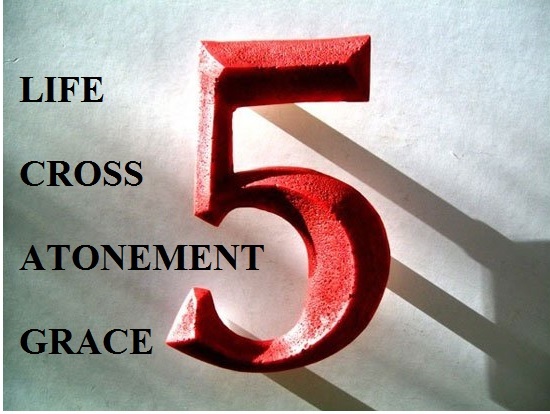 If grace is the ability to live a holy and set-apart life, Yeshua was the epitome of grace! He obeyed his Father, even unto death on a cross. Php 2:6 Who, being in the form of God, thought it not robbery to be equal with God: 7 But made himself of no reputation, and took upon him the form of a servant, and was made in the likeness of men: 8 And being found in fashion as a man, he humbled himself, and became obedient unto death, even the death of the cross. He was able to be obedient to the Father, because He was at One with Him. He operated in grace. A grace that he promised to his disciples! John 14:26 But the Helper, the Holy Spirit, whom the Father will send in my name, he will teach you all things and bring to your remembrance all that I have said to you. 27 Peace I leave with you; my peace I give to you. Not as the world gives do I give to you. Let not your hearts be troubled, neither let them be afraid. WHY WERE PEOPLE AFRAID OF YESHUA? Many believers in the first century were confused. They believed that Yeshua was calling himself GOD, and therefore a blasphemer! They didn’t recognize their long-awaited Messiah! They tried to kill him for it! He confronted them! They claimed to be children of YHVH because they were descendents of Abraham! John 8:41 …They told him, “We are not illegitimate children. We have one Father, God himself.” 42 Jesus told them, “If God were your Father, you would have loved me, because I came from God and am here. I have not come on my own accord, but he sent me. 43 Why don’t you understand what I’ve said? It’s because you can’t listen to my words. 44 You belong to your father the devil, and you want to carry out the desires of your father. He was a murderer from the beginning and has never stood for truth, since there is no truth in him. Whenever he tells a lie he speaks in character, because he is a liar and the father of lies. FATHER OF LIES OR TRUTH? If the devil is the father of lies, the opposite must also be the case. Our Heavenly Father is the Father of Truth. How can we learn the character of YHVH if we do not learn the truth? When we become one with Him, we have the truth in us. How is that working out for this generation? There are several billion people on the earth that claim to be ‘Christians.’ Seems like it would be easy to see the right way to walk, but we have 38,000 different denominations that separate us! I thought YHVH wanted Unity!? Atonement! How do we learn the truth? 1Jn 3:7 Little children, let no man deceive you: he that doeth righteousness is righteous, even as he is righteous. 8 He that committeth sin is of the devil; for the devil sinneth from the beginning. For this purpose the Son of God was manifested, that he might destroy the works of the devil. We have come full-circle. Walk as Yeshua Walked. Yeshua Walked in Torah observance. He did nothing that was outside of His Father’s direction. Which Father should we listen to and obey? Which one do we honor? The Hebrew word “atonement” appears a lot in the Old Testament, but when we get to the New Testament it doesn’t appear at all! It is used to describe the result of the sacrificial offerings made in the Temple to ‘atone’ for sin. Atonement, according to Strong’s #H3722 comes from: ka?phar kaw-far’ It is a primitive root; to cover (specifically with bitumen); figuratively to expiate or condone, to placate or cancel: – appease, make (an) atonement, cleanse, disannul, forgive, be merciful, pacify, pardon, to pitch, purge (away), put off, (make) reconcile (-liation). In the New Testament, this same concept was described, but the New Testament is a Greek translation, so the words are different. The concept of atonement is called forgiveness and cleansing. Sins are still atoned for, but now we are covered (cleansed/forgiven) by the blood offering of Yeshua the Messiah! 1Jn 1:9 If we confess our sins, he is faithful and just to forgive us our sins, and to cleanse us from all unrighteousness. 10 If we say that we have not sinned, we make him a liar, and his word is not in us. 1Jn 1:7 But if we walk in the light, as he is in the light, we have fellowship one with another, and the blood of Jesus Christ his Son cleanseth us from all sin. 8 If we say that we have no sin, we deceive ourselves and the truth is not in us. John 1:1 says that In the Beginning was the Word, the Word was with God and the Word was God. It cannot be “either/or;” it is ALL. How is Yeshua ‘in the world’ today? He taught us to walk as he walked, and we know that he was a Torah Observant, Sabbath-Keeping Jew who observed the Feasts and was guided by His Father. He told us he did nothing without his Father’s guidance. So, in every important way, Yeshua fulfilled the Fifth Commandment. He honored His Father. He Listened and Obeyed. He taught as He was taught. He walked as he wanted his children to walk. And for all this He was rewarded with resurrection from the dead and eternal life! Did it ever occur to you that the Ten Commandments that we were given were also eternal laws that Yeshua followed? Our Father never asked us to do anything He wasn’t ready to follow himself! At its face that seems like a no-brainer. But don’t dismiss this as obvious! Just because he is the Great and Mighty Creator, what does it say about his character to know that He binds himself to His Word? It is impossible for the Father to Lie. It is impossible for Him to sin or be in the presence of sin! WHY DID HE GIVE US THE LAW? According to the Fifth Commandment, it was to offer us long life! What accompanied the Ten Commandments? Deu 30:19 “I call heaven and earth to testify against you today! I’ve set life and death before you today: both blessings and curses. Choose life, that it may be well with you—you and your children. How was this understood at the time of Moses? The Israelites heard the voice of YHVH but were so frightened that they sent Moses to be their intercessor! He came back with the Ten Commandments! They are still the ‘voice’ of YHVH! And obeying that voice is life! WHAT FATHER DO WE LISTEN TO? In a perfect world, every set of parents would be worthy of honor and respect. If our earthly parents fall short, we do have a Father in Heaven to consult, and He is worthy. And He already told us ahead of time how to follow Him! These verses from Joshua are a re-statement of the Shema. Do you see it? Do you now have a better idea of how the Fifth Commandment applies to us as parents or children and children of the Most High? 1Jn 2:25 And this is the promise that he made to us–eternal life.